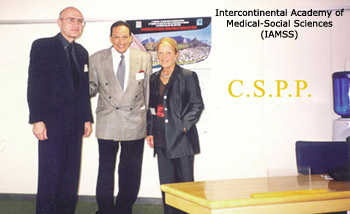 The Ain Shams International Center for the Study of Pathophysiology of Pregnancy and Fetus. C.S.P.P. This instution is offerin 9 post graduate courses in the field of ΕΡΗ -Gestosis. Its aim is to spread correct knowledge on ΕΡΗ -Gestosis, ist definitions, nomenclature and classifications as well as in management. It also includes the training in conditions of high risk pregnancies e.g. diabetes mellitus, and anemias in pregnancy etc. The program of this institute is devided ίπ three periods. Βy then it will be possible to obtain a post graduate diploma. 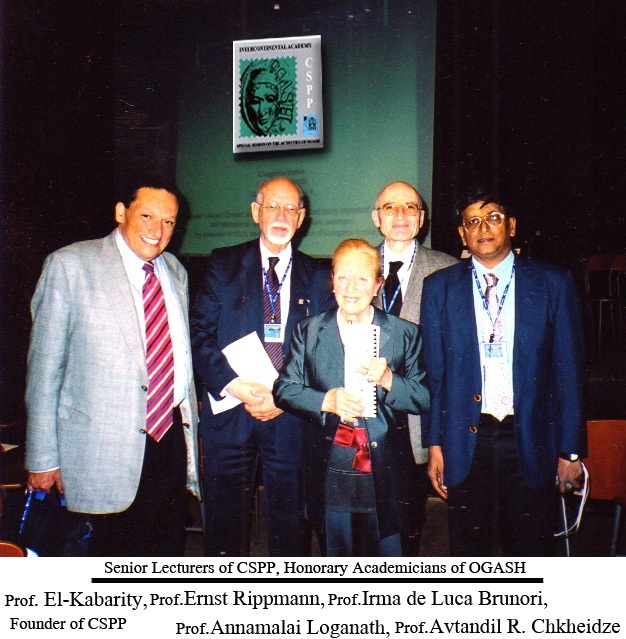 OGASH National and Regional Centers, Intercontinental OGASH Academies and Colleges will be closely connected to the Intemational Center for the Study of Pathophysiology of Pregnancy and Fetus (Cairo, Egypt). PROF. MOUNIR M.F. EL-HAO MD. International Center for the Study of Pathophysiology of Pregnancy & Fetus. Prof .Hamdi ÅÉ Kabarity, Secretary General O.G. Chairman of the section for the study of Pathophysiology of Pregnancy and Fetus of Intercontinental OGASH Academy of Medical-Social Sciences.